The greatest love story every told has finally been released in graphic novel form. This epic tome features twenty short stories about the domestic life of "Henry" and "Glenn" and sometimes their neighbors "Daryl" and "John." Digging beneath Glenn's bricks in the front yard, Henry uncovers Glenn's mother. Freshly unearthed, she moves in with him and Henry. Glenn's issues come to the surface as she critiques his art, replaces his wardrobe, scrubs their dungeon, and recalls his childhood. Later, Glenn tries to sell his signature to a UPS driver, takes a punch, and has some daydreaming adventures with a plunger. Henry, "a loud guy with a good work ethic," shows his darker side and indifference to a fan as he drinks black coffee and bonds with Glenn over their distaste for their own bands. These are two men who truly suffer best alone together. 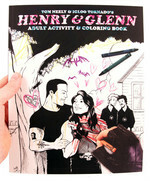 Among other hijinks, Henry and Glenn go to therapy together, battle an evil cult in the forest, and profess their love for each other, all while dealing with jealousy and other normal relationship problems and trying to figure out if their soft-rocking neighbors are actually Dungeons and Dragons playing Satanists. 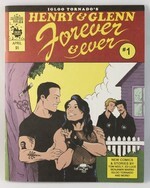 The saga of Henry and Glenn is a true testament to the power of love to overcome even the biggest, manliest egos of our time.The book collects four serialized comics, the trade paperback, the original 6x6" book, and adds 16 never-before published pages, including new stories, pin up art, and full color covers from the original series. Want more Glenn and Henry? 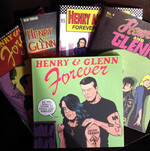 Snag the initial Henry & Glenn Forever comic (the pages of which are collected in the hardcover) and the Henry & Glenn Adult Activity & Coloring Book (with all-new and highly entertaining content). Nice. I have known, (ALL), of the Henry loves Glenn comics story as fact all of these years, this is a good permanent record of the so called "underworld". Hahahaha. The whole Henry "Brent Jackie Cornel Menz" Rollins and Glenn "Brent Harwood" Danzig thing, is very ridiculous. Who did they think they were fooling? Not me. Oh well, the book is great! And they got what they deserved/had coming. I approached this with an open mind, but after the first few pages I couldn't put it down. It's outrageously funny! Simply put, you need Henry & Glenn in your life! "has a nice underlying theme of love and acceptance." "The riffs on Tom of Finland's visual style, the references to artists like Frazetta, Mignola, and others were absolutely charming and on point." "...very good. The different styles of the artists help break up any chance of monotony because their talents are unique. I would recommend giving this book to someone who grew up in the 80s who has everything. 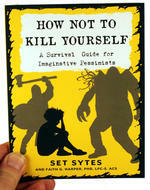 I can pretty much guarantee that they do not have this book. But they will appreciate it and the humor that is relevant to those of us who are this era. I am now headed off to dig up my Danzig cassettes." 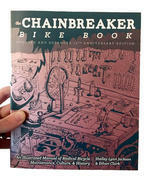 "In many ways this book is simultaneous parody and celebration of the ridiculousness of metal and punk culture. I think it’s necessary reading for anyone in the scene but will be best received by the aging punks and metalheads amongst us." "Originally, Glennry Rollzig was the work of an art group called Igloo Tornado, who got drunk in 2004 and turned that brain fog into a series of zines starring their two favorite '80s alpha males sitting in a tree, R-O-C-K-I-N-G. Since then, it's taken on a life of its own, prompting an entire art show in 2011, featuring other people's interpretations of the pair's life together. They battle evil with Danzig as Conan the Barbarian and Rollins as, well, Conan's horse ..."
This book is a ridiculously well designed tribute to the power of a brilliant, stupid idea. "blessed madness... so delicious and playful..."
"The definitive collection of the popular cult-classic series"
"...heartwarming works of art featuring our favorite imaginary couple"
"...the most heartwarming thing I didn’t realize I needed in my life. I seriously wish my wife looked at me the way Glenn Looks at Henry in these pages..."
Many different artists contributed to help create this alternate universe and I can only hope that one day this can be developed into a online series to further our enjoyment and guilty pleasure. We love these guys. It’s clear though that Tom Neely, as well as the fellow cartoonists who contribute to this book, are coming at this from a place of appreciation of both musicians. Neely just happened to find the most brilliant way to satirize the metal and punk rock legends. "the idea is inspired and has been executed in a way that just about lived up to the expectation of the myth." "Everything about this book rocks -- from the Tom-of-Finland-style cover artwork to Rollins' and Danzig's quotes on the back cover." "[Rollins & Danzig are] prime targets for some bizarre and very funny teasing in this collection of 20 short stories, as well as pin-up art and comic parodies spearheaded by Neely (The Blot) and the Igloo Tornado artists collective..."
[translated from German] - "The authors unmask with a keen eye on the artistic work of the two icons and with detailed scene knowledge"
"...so metal that it’s almost too much to pick up." 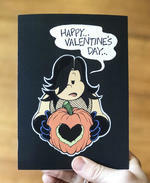 "The fact that this exists is the thing that probably keeps Danzig up at night. And it’s great. ...at the same time genius and the dumbest thing I’ve ever read." "It’s clear though that Tom Neely, as well as the fellow cartoonists who contribute to this book, are coming at this from a place of appreciation of both musicians. 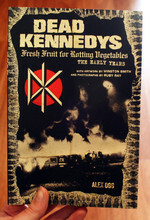 Neely just happened to find the most brilliant way to satirize the metal and punk rock legends." "...endlessly engaging, and each subsequent return to the collection will reveal new jokes and foster a greater appreciation for the collection’s artistry." 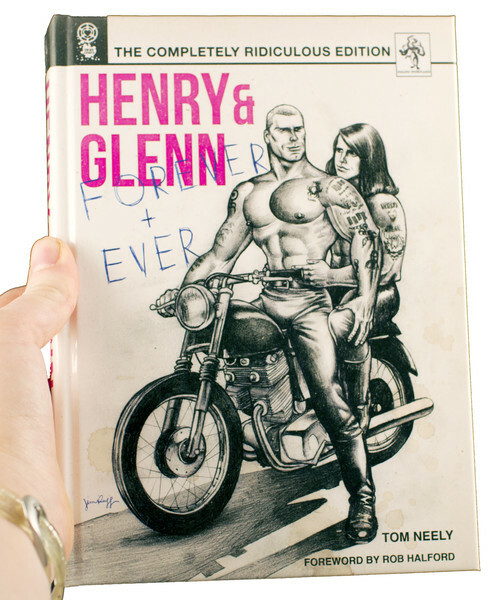 "Crude, lewd and melodramatic, Henry & Glenn answers a question no one else thought to ask, in comics to be cherished forever and ever." "...the thing that really becomes apparent throughout this collection is the huge amount of love that it has for its subjects. It might on the surface appear to poke fun at the pair of muscle-bound alternative icons – Glenn is impulsive and needy, Henry judgemental and obsessively hard-working, but they make their relationship work somehow – but it’s so obviously informed by a deep understanding of their work." " a must-read for adult fans of comics, punk and metal music, and/or sharp humor." "...a true testament to the power of love to overcome even the biggest, manliest egos of our time." "indie comics at their best"
"...material like this clearly shows that Neely and his associates know their stuff and have spent their fair share of time listening to Henry and Glenn’s collective output over the years." "...irrepressibly darling and buoyantly infectious..."
"a glorious send up of two of Rock's most famous personalities." "The artwork (contributed by an array of notable artists) is fantastic, the story lines are hilarious, and knowing that Glenn is out there somewhere sitting squarely beneath his little black cloud about it makes it all that much better.."
"...a lot funnier than it has any right to be." "The most metal love story ever." "Made Me Believe in Love Again"
"For me personally, knowing how much Danzig hates this series and how little it phases Henry Rollins, makes me not only like the series more, but also encourages how strangely accurate both are depicted." As far as fan fiction, this is the apex of it. "One of my favorite uses of satire...If I were to find [this] anything less than hilarious, then I am in the wrong business." I wouldn’t be the neighbor, but I’d be in the Satanic cult! 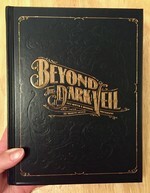 An overall great work of graphic novel. The story is full of funny in-jokes about Glenn and Henry, and have some sitcom-esque arguments you would expect to hear from any couple. Also, this book is just chock full of great Satanist humor! "It’s funny, endearing, touching (and slightly touched), rammed full of obvious and more subtle references to the counter culture and alternative music scenes that made up the last three decades of the twentieth century and has been written, illustrated, compiled and created with a sense of genuine warmth and mischievous affection for the main characters." "a little cult-beloved slice of domestic bliss/angst"
There should absolutely be more of this. Why isn’t anyone making me a comic that imagines the day to day exploits of Jay-Z, Beyonce, Kanye and Kim? Is there any logical reason why Nicolas Cage, the most meme-prone human being on earth, is not having his every fictional move chronicled in a daily web strip? The man owns two castles and Action Comics #1. What I am saying is it practically writes itself. "an imaginary love affair between Danzig and fellow muscle-bound punk rock legend Henry Rollins [which] got a lot of attention. When Danzig was asked about it by Decibel magazine, he flipped out, refused to see it, and ended up having the transcript worked into a hilarious post-script by the cartoonists." 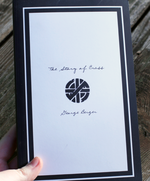 "A narrative serial packed with kitty litter jokes, Black Flag puns, references to Glenn's overly doting "Mother," dungeon-crawling adventures, and trips to the therapist. The tender care Neely and a rotating cast of guest authors bring to the stories makes Forever and Ever so much more than a one-note gag — Glenn's tantrums are risible; Henry's patience is divine — and there are inside jokes galore for fans of heavy music." "This may be my favorite series in all of comics right now"
Log in to get emails when Tom Neely has something new.